Samsara’s VS2-series machine vision system is an easy-to-deploy, easy-to-monitor quality management system that makes automated product inspection affordable across many production lines. It combines built-in cloud connectivity and automated traceability reporting with market-leading image processing capability and advanced vision detection to quickly reduce defects and simplify previously complex inspection challenges. Centrally managed and deployed verification programs reduce line setup and downtime, while out-of-the-box traceability reporting and defect alerting increase operational compliance, productivity, and quality. Every product image - from every run - is easily accessible and searchable, as is quality performance across lines. Use built-in secure, online traceability reporting to quickly verify that troublesome line performance has been resolved, or instantly answer customer reporting requests with always-available production reports from any date range, including rate, quality statistics, and product images. Due to the central configuration of VS2 cameras, common programs can be easily deployed or modified across every line. New product SKUs can be quickly configured with a single click. VS2s also integrate with existing production systems, PLCs, and historians to allow automatic product changeovers and fast deployments with minimal change to operators’ existing processes. 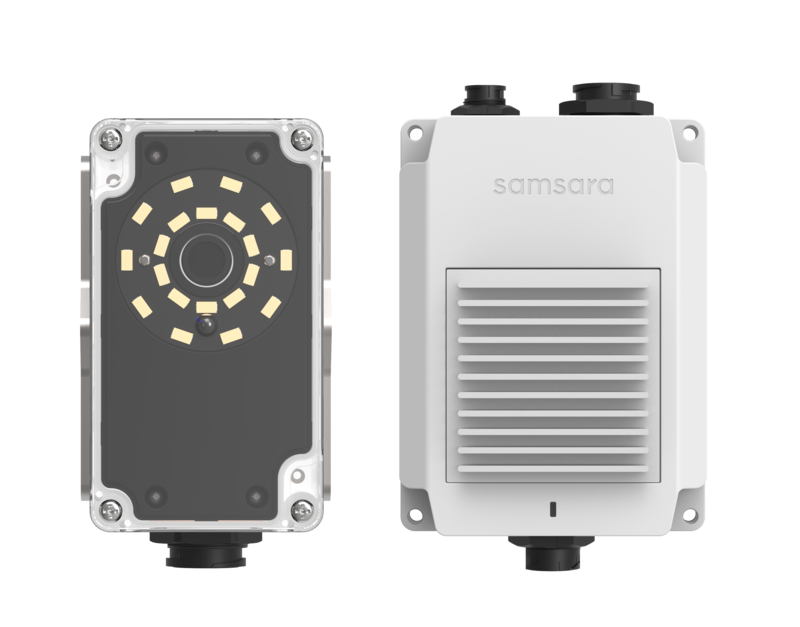 Easily program Samsara’s vision system to inspect product details like color, size, count, texture, and object presence. Monitor filling processes to minimize scrap by confirming proper fill level, case packaging, and the presence of safety seals. Samsara’s vision system verifies and matches all 1D and 2D barcodes. Easily match product labels, monitor alignment, confirm centering, detect the presence of lot numbers/batch codes, and even evaluate best-by dates by SKU. The VS2 Series Vision System automatically uploads data captured from your production lines to the Samsara Cloud, providing zero-touch, centralized visibility into the performance of your entire operations. HMI operators can instantly access recent and historical captures from any web browser, identify current run status, monitor quality issues, and modify HMI Recipe Managers. Requires VS license. License includes cellular data connectivity, cloud software, mobile apps, ongoing firmware updates, maintenance, and support. Available in 1, 3, and 5-year terms.